The New York Post turned their readership on to one of the ~dirtiest~ deals ever and it totally embodies the modern Democratic party. 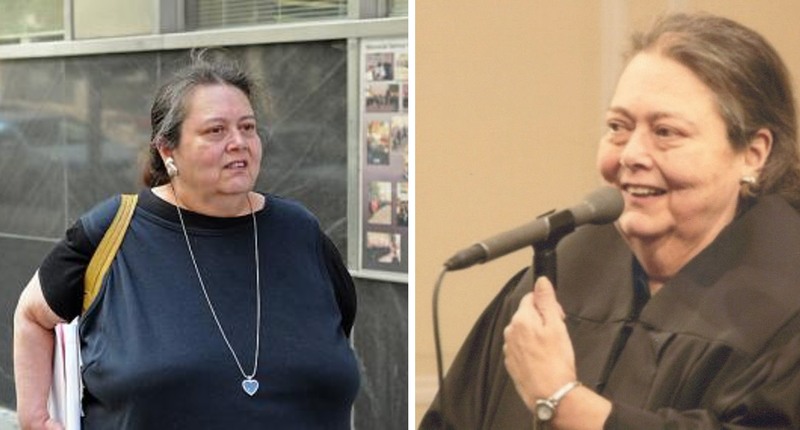 The all-Democrat City Council in White Plains, New York gave their party’s “well-connected” chairwoman Elizabeth Shollenberger a cushy six-figure, ten-year judicial seat despite the fact that she’s morbidly obese making it difficult for her to perform her duties. Shollenbeger suffers from a digestive disorder along with the aforementioned morbid obesity. The woman is unable to ascend the three steps it takes to get to her courtroom bench – even with the aid of a specially installed railing . . .
City Judicial Review Committee member Mark Elliott has publicly accused Mayor Tom Roach of making sure “the fix was in” for the judge, who had been his campaign treasurer. “She came to the interview with an oxygen tank. She’s very fragile,” Elliott told The Post. The committee rejected the Yale Law School grad, 61, for appointment to the post. But she got the job anyway, and promptly went on the first of several medical leaves just a week after being sworn in to her $175,500-a-year job. The job also provides $65,000 worth of annual health benefits, which the currently hospitalized Shollenberger has been putting to good use. Aside from the alleged cronyism, court workers were also troubled by a more immediate concern — a severe gastric distress problem that made itself apparent on the few occasions the judge made it into court. Another court worker said Shollenberger astounded staffers by acting with “complete arrogance” following the awful accidents. “She would just say, ‘There is a mess over there. I think someone should clean it up,’ ” the source said.